Dry socket is a relatively unusual but nonetheless painful condition following a tooth extraction. It is characterized by a throbbing pain and sometimes accompanied by foul smelling breath and a nasty taste in the mouth. How do you Get a Dry Socket? Dry socket only occurs following around 2% of extractions but that figure rises significantly when it involves wisdom tooth extraction. It is caused when the tooth socket fails to full fully clot after the extraction. When you get a tooth pulled out, the first stage of healing is the formation of a blood clot which protects the jawbone beneath it. In some cases however, blood clotting is partial or absent leaving the bone exposed, causing pain and delaying the healing process. There are certain risk factors that can increase the chance of dry socket including smoking, chewing tobacco, prior infections of the affected area and hormonal factors-women are more at risk than men. If it is left untreated, dry socket will usually clear up within 7 to 10 days and during this time it is important to avoid smoking, using a straw to drink and vigorous rinsing and spitting. While dry socket will clear up eventually of its own accord, it can be very painful and there is nothing quite like dental pain to put you in a very cross mood. This article will take a look at a number of effective home remedies that you can try to ease your symptoms and seed up the healing process. One of the best known and most effective natural remedies for dry socket is clove oil. Clove oil has natural antiseptic and analgesic properties which can be used to great effect in treating toothache as well as dealing with the symptoms of dry socket. Clove oil is widely used as a topical form of anesthetic and has a long tradition in dealing with dental pain. To treat dry socket with clove oil, it should not be directly applied as it can cause a fairly painful sting. Instead, you should dip a cotton swab in water and then dip it into the oil. Press the oil soaked swab against your dry socket and hold it in place for at least 20 minutes. Try this remedy twice a day and you should experience a great deal of relief. No home should be without it-turmeric is one of those traditional home remedies with countless benefits to your health and it can even be used to help treat your painful dry socket. Turmeric has antiseptic properties that speed up your healing and prevent further infections from developing. Simply take a pinch of turmeric and add it to a glass of warm water then stir it well. You can gargle the finished turmeric solution regularly throughout each day until your symptoms have cleared up. 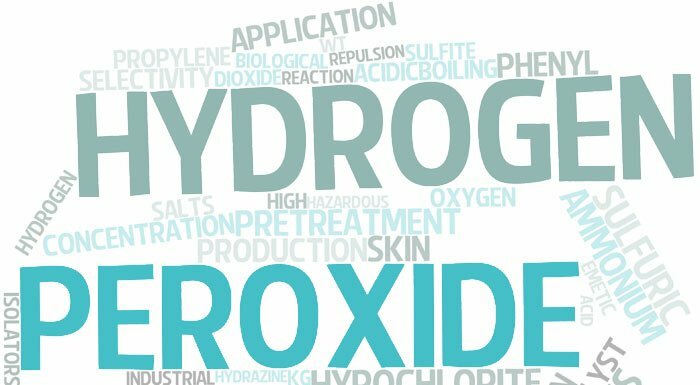 You can try using hydrogen peroxide to ease your dry socket symptoms. 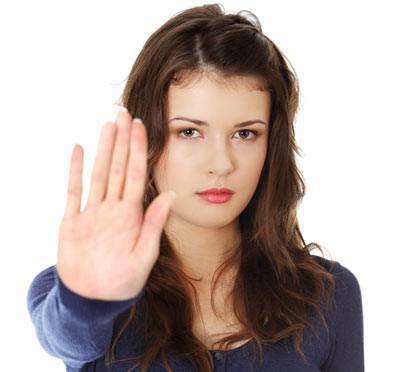 Hydrogen peroxide acts to disinfect the area and prevents the development of any further bacterial infection. Not only that but rinsing your mouth out with a hydrogen peroxide solution helps relieve the pain and will help remove any particles and debris trapped in the mouth and between the teeth. Severe and throbbing pains are often the first signs you will have that you are suffering from a dry socket. These pains occur fairly soon after extraction and you will doubtless find yourself reaching for your stash of painkillers. Another great home remedy to alleviate your dental pain is either a hot or a cold compress placed onto the face over the affected area. You can make a cold compress by packing a towel with ice cubes or simply by using a bag of frozen vegetables like peas. A warm compress can be made by simply soaking a towel in hot water and ringing out the excess before using it. 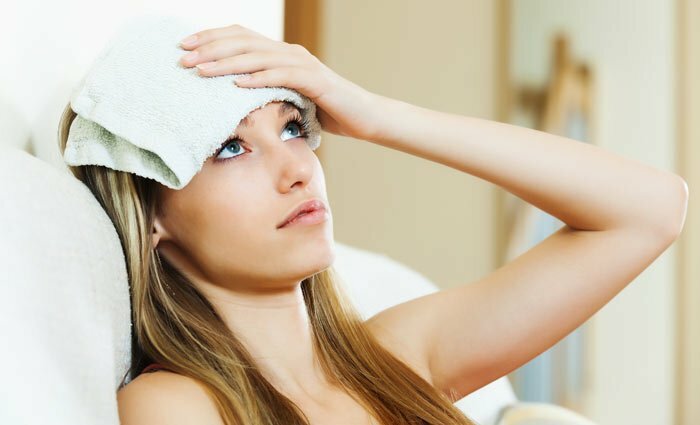 Whether you opt for a cold or warm compress, hold it firmly against your face for around 2o minutes and you should feel fairly instant pain relief. I am sure that nearly all of us have a pack of teabags handy at home and they make for a great home remedy for dry socket as well as several other complaints like puffy eyes. Their therapeutic use is down to the tannin content of the tea; tannic acid has effective antiseptic and antibacterial qualities that can help fight infection and leave your mouth feeling fresh and clean. 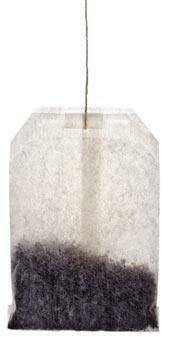 After removing the tea bag from the hot water, allow it to cool and place it directly onto your dry socket. Try to keep it in place for at least 20 minutes and repeat several times a day until your symptoms have cleared. Gauze is often used by dentists to cover the area of extraction and you can apply it at home in order to keep the dry socket free of irritating particles and the saliva that can cause pain when it comes into contact with your wound. Simply moisten a piece of gauze and place it onto the dry socket, biting down on it to ensure that it covers the entire area. Make sure that you replace the gauze at regular intervals throughout the day. While certain food might irritate the dry socket and cause greater pain, eating yogurt is recommended because it contains antibiotic properties and will help keep the affected area free of further infection. On another note, yogurt is generally very good for you and it tastes great. Valerian root has a number of medicinal uses and is very well known for its calming and sedative abilities. As a natural tranquilizer, it might be able to help ease the pain and discomfort caused by your dry socket and might even help move the healing process closer. A mixture of salt and lemon juice provides natural antiseptic qualities which can deal with your oral bacteria and prevent against any further infection of the dry socket. You can rinse your mouth out gently with a lemon and salt solution as often as necessary, until your symptoms have healed. Being such a rich source of C vitamin, drinking lemon water alone is also a great way to stay generally healthy and to freshen up your mouth. Its important to stay hydrated, particularly when you’re healing from a tooth extraction. Drink water and other clear liquids to ensure you’re staying hydrated. Water is your best bet, but you may alternate between water and sports drinks. Avoid alcohol at all costs during this time. Although taking a pain reliever won’t help you heal any faster or prevent the onset of an infection, it will help dull the staggering ache associated with dry socket. You may be prescribed a pain reliever by your physician, or you may take an over the counter pain reliever such as acetaminophen or aspirin. Taking a pain reliever before bedtime will help you get the rest necessary for healing your body and fighting dry socket. Generally, pain relievers are not recommended for children or adolescents as it can negatively affect the health of your liver and brain, so speak your physician for your best pain-relieving options. Rinsing saltwater will help kill bacteria and prevent any further infection. This rinse will also help remove any lingering debris and help reduce painful inflammation. 1. Mix a ½ teaspoon of salt into a glass of lukewarm water. 2. Stir until the salt is completely dissolved into the water. 3. Take a sip and gently swish the water around your mouth. Make sure to focus on the affected side of the mouth as your swish. 4. Spit the water out. 5. Repeat these steps following every meal and right before you go to bed. Feel free to use this treatment any time you think it may help with the healing process. You can ensure that the extraction site is staying clean by flushing the area with a plastic syringe. Using this method will flush out any debris such as food particles and dirt. This will help prevent the onset of infection. You may have your oral surgeon do this for you or you can request that they send you home with a plastic syringe for your to use yourself. 1. Fill a clean, plastic syringe with fresh, clean water or salt water. If your oral surgeon sent you home with a medicated rinse, you can use that as well. 2. Release the contents of the syringe from multiple angles over the affected area, ensuring that you’re removing all possible debris. After flushing the area with the syringe, make sure there is no visible debris or food particles left behind. 3. Flush the extraction site following every meal. Also be sure to flush the extraction site before you go to bed. Consistently rinsing with an antibacterial mouthwash after meals will limit bacteria’s ability to set in and cause an infection. Its especially recommended to rinse with an antibacterial mouthwash before and after surgery, when your mouth is especially vulnerable. 1. Unscrew the cap of the antibacterial mouthwash of your choice and rinse off the cap with hot water. Fill the cap with a dose of the mouthwash. 2. Take the mouthwash and swish it around in your mouth, focusing on the affected area. Try to swish for about a minute, to really make sure you’re getting any bacteria that may be hanging around. 3. Spit the mouthwash out. 4. If the mouthwash stings your mouth at all, immediately rinse your mouth out with some water. 5. Use an antibacterial mouth wash following all meals and right before bedtime. Making sure that you stay well hydrated is important to prevent giddiness that can be caused by dry socket and you should also do your best to avoid certain triggers that tend to worsen the symptoms. Common triggers include smoking and other tobacco products. Believe me when I say I know how hard it is to stop smoking but you might be able to turn the pain of your dry socket into an opportunity to quit. Try to avoid vigorous brushing as this is likely to aggravate your symptoms and delay the healing process even further. Avoid touching the wound with hard objects and your fingers. Overly vigorous rinsing and spitting is also likely to aggravate your symptoms. If you are suffering from dry socket, you certainly have my sympathy. 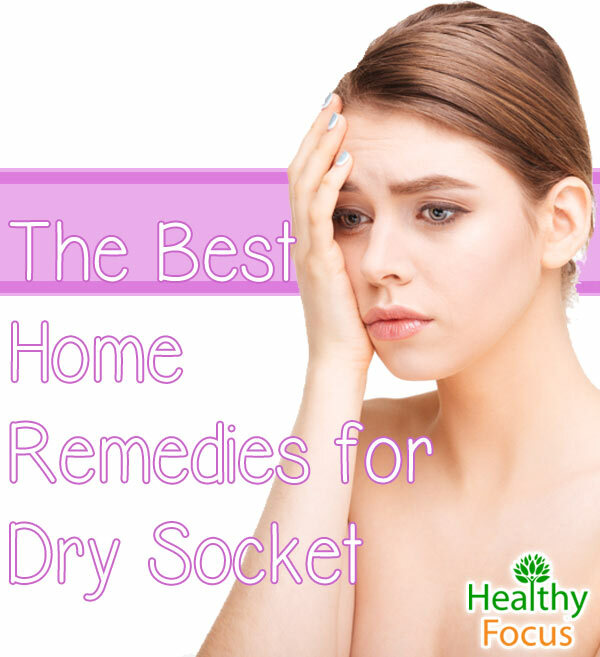 Hopefully one or more of these great home remedies will help. Good luck and please let us know if you had any success.